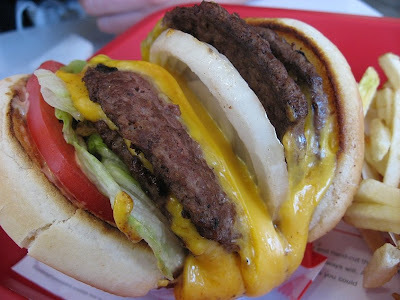 I'm semi-obsessed with In-n-Out! 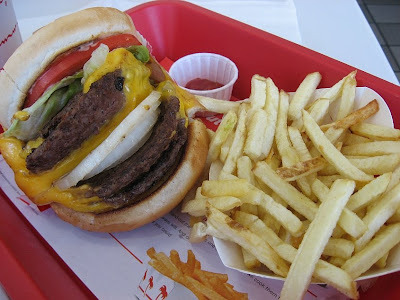 I would have suggested the animal style fries, but they're definitely hard to tackle alongside a 4x4 :) JEALOUS. Animal style cheeseburger and a side of *hot* fries. 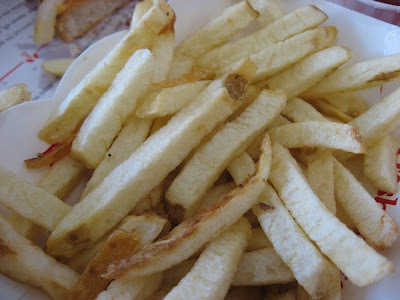 Sooooo bummed your were cold as good InO fries are heavenly. 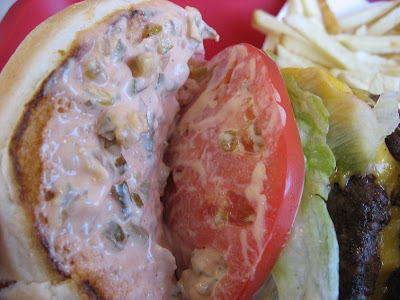 try the burgers with grilled onions next time! that burger looks so good!!!! Mmmmm...my fave is animal style. Wish I woulda known about the entire secret menu while I was living in LA!!! I was in the Napa Valley when Ike decided to pay a visit. 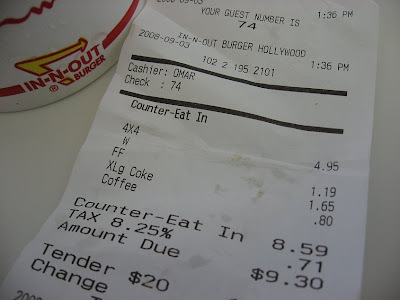 My first In-N-Out burger was at the Napa location. I wasn't that impressed although the staff made me feel right at home knowing it was my first visit. My second try was at the IOB in Mill Valley near Sausalito. The line was out the door. 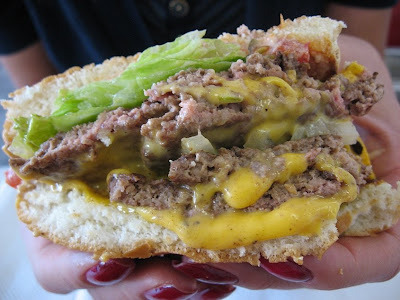 It's still not my favorite chain burger but will probably try again on my next visit out West.